Microsoft has rolled out a new update for its SwiftKey app version 7.0 for Android and iOS. This is a major update since 2016 that brings various new features to the keyboard app. The latest version is now live on Play Store and App Store and users can download to use the latest features of SwiftKey. The SwiftKey 7.0 update brings new toolbar to easily access Themes, Clipboard and more on Android and iOS. 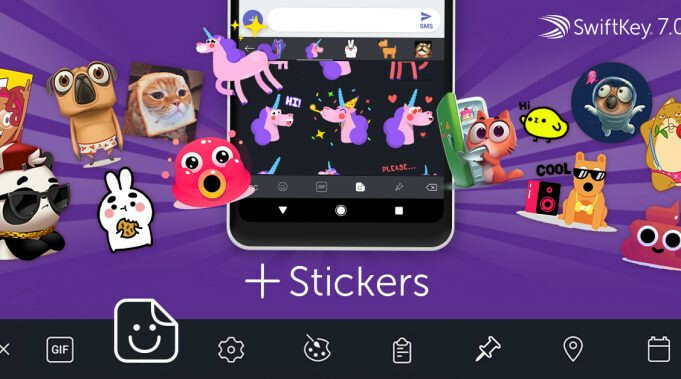 The new toolbar replaces the existing one and it also brings Stickers, Emoji that you can add your messages or even edit them to add your own style to a message. The update also brings 8 new ‘Lish’ languages support for Indian users and a new Location sharing and Calendar sharing features are also on the way. The major change in SwiftKey 7.0 is the new Toolbar. It offers a new way to get faster and easier access to favorite SwiftKey features. You will need to just tap the “+” on the left of the prediction bar to use it. Further, there are new stickers that give more ways to express yourself. You can also save your favorite Stickers and access them later in Collections. You can find them by tapping on the ‘pin’ icon on the Toolbar. Other features are GIFs and you can pick from 1,000s of GIFs within SwiftKey and search will help you in finding the perfect emoji or GIF in a flash. Moreover, there is eight new ‘Lish’ languages support for Indian local languages like Assamese, Bengali, Kannada, Malayalam, Marathi, Nepali, Odia, and Telugu that lets people shift seamlessly between English and Indian languages. Apart from above-mentioned features, location sharing that makes it easy to insert the address of a nearby location in a message and calendar sharing that lets you insert a calendar appointment with a couple of taps, are coming soon. “People are using more and more GIFs, stickers and emoji. Our research shows that 77% of Indian smartphone users insert stickers at least several times a week. 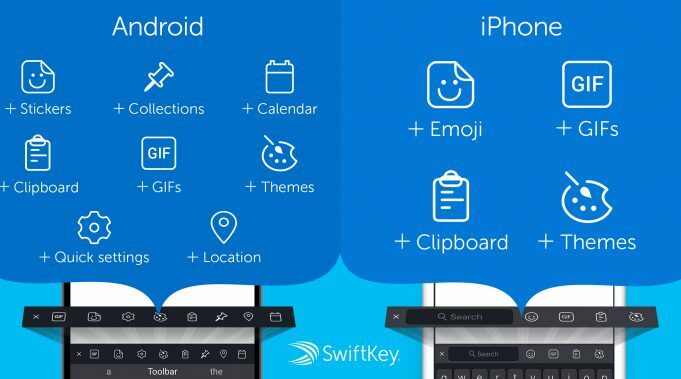 The objective of SwiftKey 7.0 is to make these faster and easier than ever before. Toolbar makes that possible, as well as offering more personalized content that SwiftKey users can store in Collections.